We’ve been providing quality tree services in Melbourne since 2005! 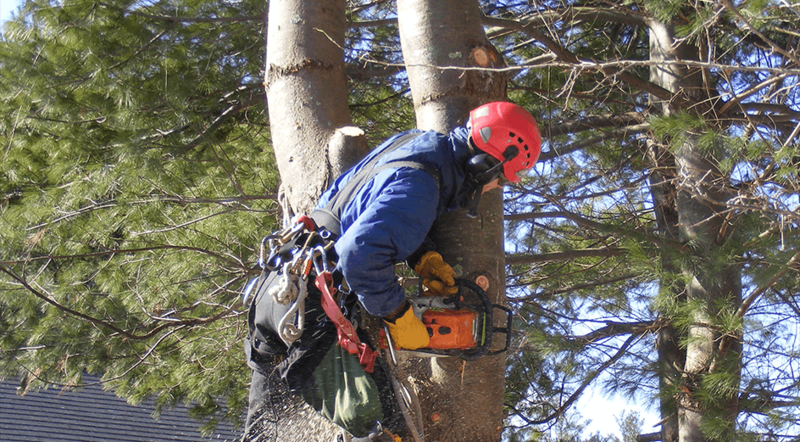 Why choose PC Tree Services tree removals, tree trimming, and tree pruning? We Pride Ourselves in Our Quality Work & Top Customer Service. Here are just some of our reviews from the local community! I just wanted to let people know how impressed I was with tree trimming which was carried out at my unit. Access to the trees was difficult but a solution was found to the issue and the job carried out and completed to high standard. The team was friendly, efficient and respectful. Everything was left clean and tidy, no dramas. I highly recommend PC Tree Services as their service really is of a high standard Thanks you to everyone for a fantastic job. Thank you so much for the professional job that you and your team did today on our Lemon Scented gum. The 40 year old tree is now well shaped after such a large weight reduction. I'm thrilled with the result. Please pass my thanks onto to your friendly and helpful team. I appreciated the way they consulted with me throughout the pruning operation and the clean-up afterwards. They took great care in performing the pruning process. Ian's attitude to seek feed back and take corrective measures to create a positive outcome for his Customers is exceptional. I shared a concern after his team did an undoubtedly awesome job as feedback. As the business owner, Ian took full responsibility and ensured every thing that was raised was attended n fixed on the same day. This by itself displayed great Business ethics and Customer service. Big call out to Extended team who all make it happen every day. Keep up the great work team. Felling or removing a tree is never a simple task. As such, you shouldn’t ever attempt to carry it out haphazardly and without regard to your surroundings. Fully inspect the tree and its structural integrity. They will check the branches, trunk, and root system for signs of damage and decay. Draft a plan of action for the tree dismantling process, taking into consideration its unique morphology and other physical characteristics. Carefully take the tree apart by cutting it in sections and securing particularly hazardous pieces so that they are lowered to the ground safely. Go the extra mile to ensure minimal disturbance to your home and garden throughout this often-tricky process. At PC Tree Services, we pride ourselves on being the best when it comes to tree removal Melbourne. If you’re looking for a company that is the trusted choice for tree removal, stump removal, fine tree pruning, hedge pruning and much, much more then PC Tree Services can help! With an attention to detail and customer service right from the get go, PC Tree Service’s will take the hassle out of your tree care issues today! After your initial enquiry, one of our friendly and experienced Melbourne Arborist will come out to give you a comprehensive consultation and provide you with honest advice on the best course of action to solve your tree related problems. And best of all, our specialist estimates are free of charge! Most of our prospective clients are so impressed with our advice and detailed estimates that they are keen to secure their spot in the diary at the time of the quote. Once a date has been arranged, our trained and skilled team will arrive on time, every time to conduct the highest possible tree removal Melbourne has to offer. Our aim is to impress and we know we have the right equipment, knowledge, team and customer service to make you a regular client of PC Tree Services for life. So give us a call now to secure your FAST, FREE estimate today! We have a team of expert Arborists! Consulting Arborists in Melbourne to prepare your Arborist Reports. A lot of our clients aren’t sure whether they need a permit to remove or prune their trees in Melbourne, or where to obtain a quality arborist report in Melbourne. Worry no more! Our expert arborists that attend to provide you with your estimate will be able to determine whether a permit application is or isn’t required from your local council. If a permit is required; we can provide you with a comprehensive arborist report to be submitted in conjunction with your council permit application. We can even give you advice and support in filling out and completing the permit with your local council. After all, we care about you so just ask for our help and we’ll be happy to oblige!